The ACJM Court in Dhakrani on Saturday rejected the bail plea of Bharatiya Janata Party (BJP) MLA Ganesh Joshi, who is presently in jail for allegedly injuring a police horse named Shaktiman. Joshi was on Friday sent to judicial custody for 14 days. Meanwhile, the ruling Congress in Uttarakhand and the Bharatiya Janata Party (BJP) exchanged verbal volleys over Joshi's arrest. Uttarakhand Chief Minister Harish Rawat on Friday asserted that there was no 'political conspiracy' behind Joshi's arrest. 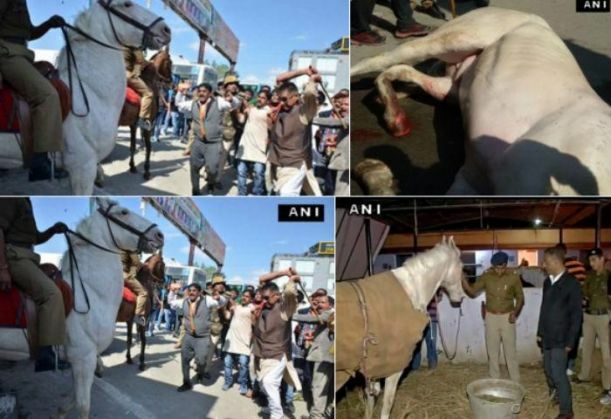 Shaktiman's left hind leg was amputated by veterinary doctors yesterday after it suffered multiple fractures during a BJP protest earlier this week. The horse was allegedly beaten with sticks by Joshi and his associates.